When she was just a girl She expected the world But it flew away from her reach And the bullets catch in her teeth Life goes on, it gets so heavy The wheel breaks the butterfly Every tear a waterfall In the night the stormy night she'll close her eyes In the night the stormy night away she'd fly And dreams of Para-para-paradise... By: Cool Fun Group Paradise [Product notice has been applied for copyright, please copy the weight of the plagiarism]. 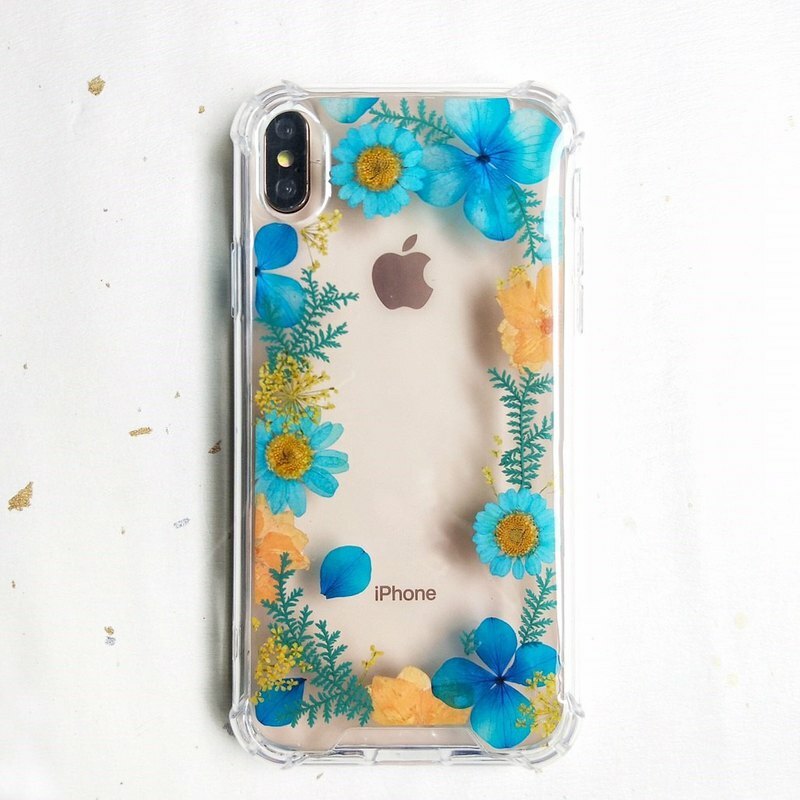 -product quality- Dry real flower / resin / plastic -Phone case material - Double material shell: the middle part is acrylic (hard), the four sides are all covered with silicone (soft) - Ordering Information -  About 10 working days (excluding Saturdays, Sundays, and holidays). Do not accept non-brand exterior designs. . -Precautions-  The mobile phone case is a soft shell with four transparent sides. The surface of the mobile phone case will be filled with a layer of gemstone to seal the flower material. The flower material will eventually be embedded in the center, so there is no need to worry about falling. Some flowers are thick or overlapping, and may be slightly raised (eg, Daisy/Flying Flower/Star)  All products are 100% handmade, no mechanical defoaming, so tiny bubbles appear randomly, which does not affect normal use. The design gallery pictures are for reference only. The design of the flower arrangement cannot be 100%. If the flowers are out of season, the flowers of the existing color will be used to make a similar style, so each creation will be It is unique. Some styles use a primary color flower (no dye) to slightly change the transparency after filling, but the normal phenomenon is not awkward. There is a color difference between the mobile phone and the computer screen, and the actual color is slightly different. Handmade goods, no return and return, true flower products are unique and "not exactly the same", I really mind that this friend should carefully consider before placing an order. Available model list ▌Apple ▌ I6 I6+ I7/8 I7+/8+ IX IXR(6.1) IXS MAX(6.5) ▌SAMSUNG ▌ A series C series J series N series S series ▌OPPO ▌ A series R series ▌SONY ▌ X series ASUS HUAWEI VIVO LG MOTO NOKIA Some models of millet. You can ask for information first, thank you.